It's Thursday, which means it's almost Friday, which means it's almost Labor Day weekend! This year, I'll be heading up to Tahoe to spend the weekend celebrating a friend's birthday. We've got home cooked dinners, hikes, and days at the beach planned, which seems like the perfect summer send off. Last weekend I was lucky enough to have another mini getaway as well. I went to Sea Ranch, which is north of Napa along the California coast, with my family. My sister and brother-in-law were visiting for the first time in over a year, and it was amazing to spend time with them. 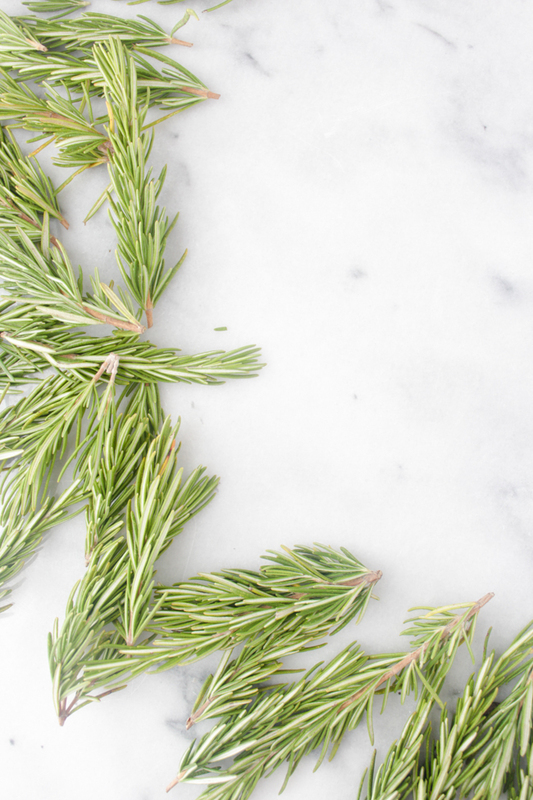 Summer coming to an end got me thinking about this delicious rosemary white bean dip my mom makes as an appetizer for Thanksgiving and Christmas dinner. Not only is it a total crowd pleaser, it's super simple and only requires four ingredients. It's creamy, decadent texture gave me the idea that, with a few tweaks, it would make a delicious pasta sauce. As it turned out, my instinct was spot on. 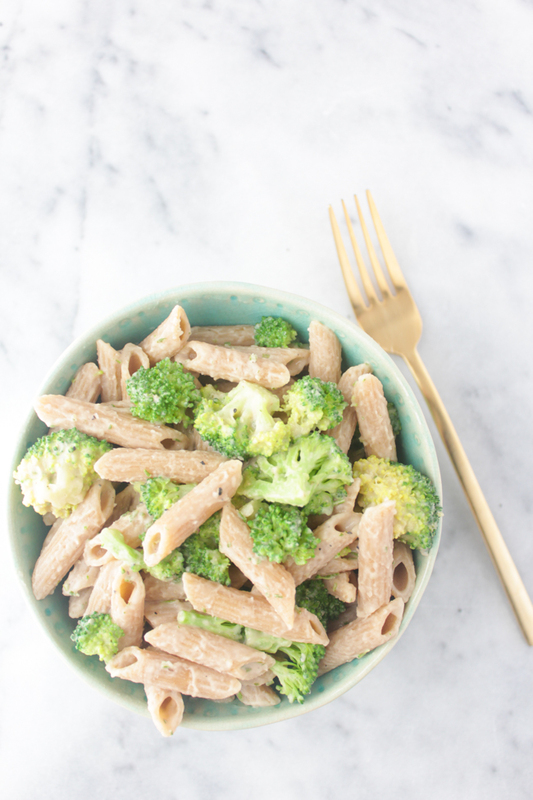 You only need six ingredients for this recipe, and the result is a comforting but light pasta dish that's perfect for the transition from summer to fall. I hope you all enjoy the long weekend with family and friends! 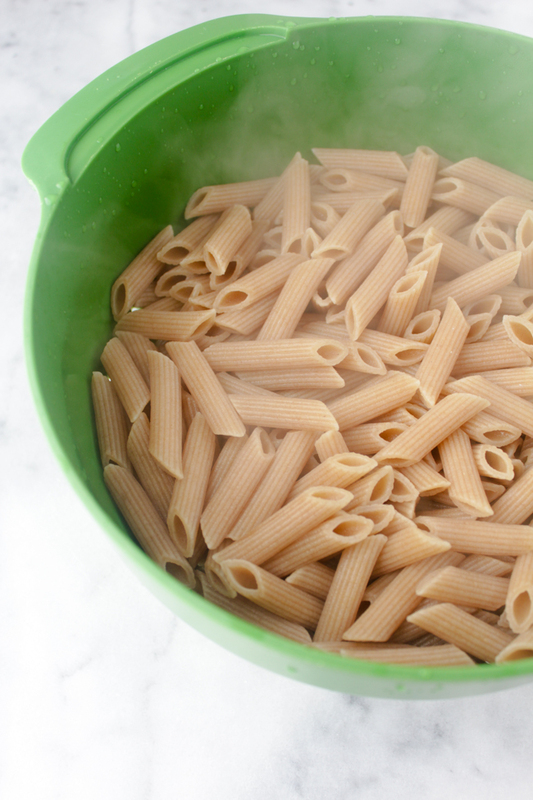 Cook penne in a large pot of boiling salted water according to package instructions until al dente. 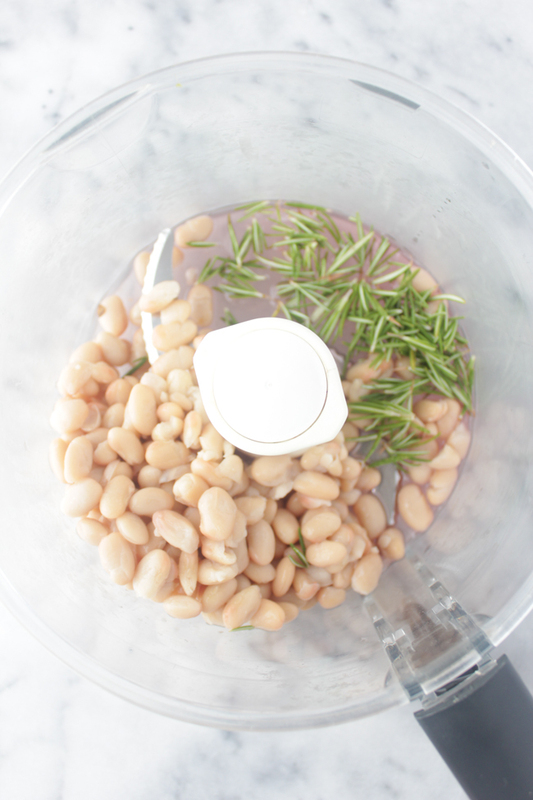 Meanwhile, add beans, rosemary and red wine vinegar to a food processor. Whiz together while slowly drizzling in olive oil until fully incorporated. Season with salt and pepper to taste. 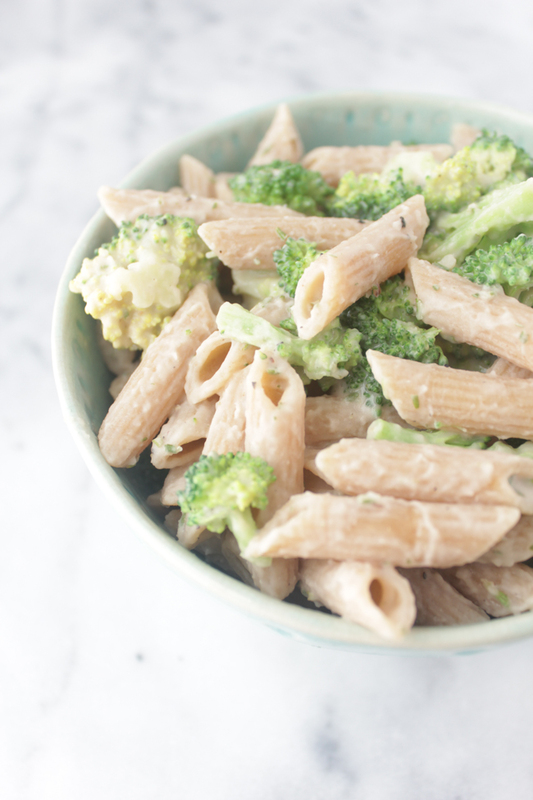 Combine pasta and broccoli in a large bowl before stirring in the white bean sauce. Serve immediately. Thanks, Les!The beans really do work so well, especially since white beans have a more mild flavor so the creamy texture really comes through. I hope you have a lovely long weekend as well! Such a lovely post! Thanks for sharing. Sounds good. However, I would like more precise measuring for the rosemary sprigs. What I have growing is inconsistent in size and not as neat as what you showin the picture. Can you give me an exact measurement? Thanks. Thanks so much, Ileana! Pasta is totally my guilty pleasure! Yum!! And genius - white beans as a cream sauce! So smart! 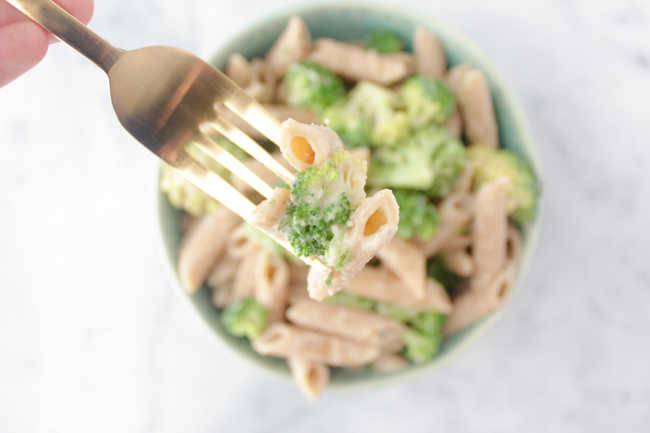 Days are getting shorter and cooler and I'm craving comfort food big time, can't wait to try this recipe! 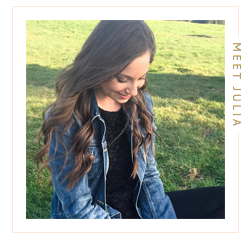 As always, thank you for sharing Julia! Yay! This makes me so happy! White beans really are one of the best ways to make a healthy cream sauce. Thanks so much for stopping by!